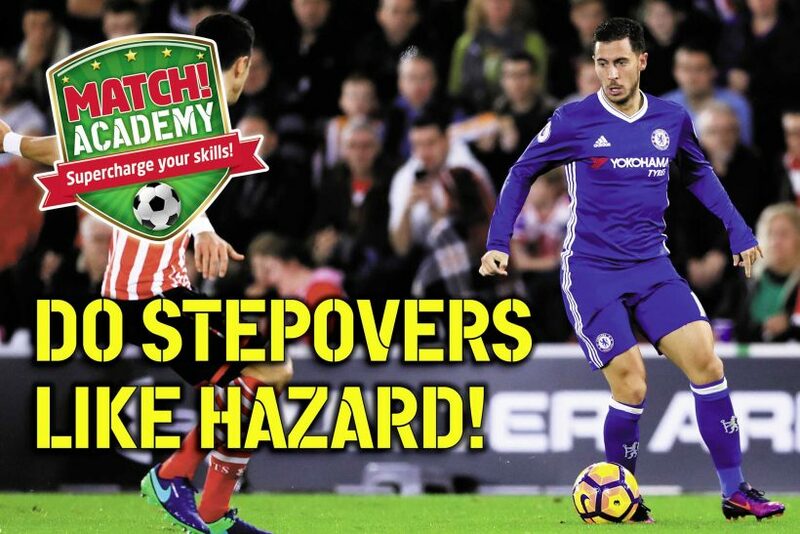 To bust out a stepover like Hazard, make sure the ball is close to your feet and under control. If it’s too far away or not under control properly, the trick won’t work! Move the ball to the outside of the foot you’re going to do the stepover with, then move that foot around the front of the ball so it’s now between both your feet! If you want to do a double stepover, repeat the skill move again with your other foot. This means your marker won’t know which way you’re going to go! After you’ve busted out your stepover, push the ball away quickly with the outside of your other foot before burning away from your opponent! Roll the ball slowly ahead of you, and try to do as many stepovers as you can before it stops! Now try dribbling with the ball and repeat the stepovers, but at a much quicker pace! 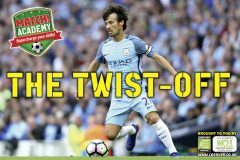 At the end of each drill, push the ball away with the outside of your other foot and launch yourself in that direction!